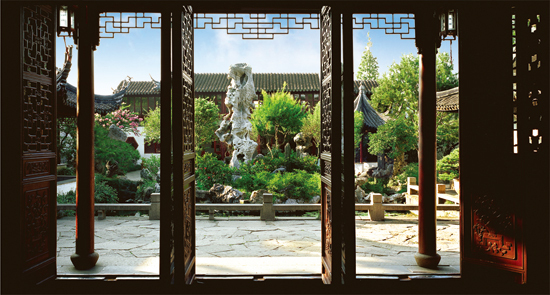 Known for its stunning architecture, Lingering Garden is among the best-preserved gardens in Suzhou, and one of the four most famous gardens in China, together with the Humble Administrator’s Garden in Suzhou, the Summer Palace in Beijing and the Chengde Mountain Resort in Hebei province. The garden spans nearly nine square miles (23,000 square meters), and originally served as a classical private garden, with magnificent halls, various buildings and lush grounds. Throughout its 400-year history, Lingering Garden has changed its owners several times. Situated outside Changmen Gate, it was built in 1593 during the Ming Dynasty (1368-1644) when a retired official named Xu Taishi commissioned well-known stonemason Zhou Shicheng to build it as his primary residence. It was called East Garden, but years later was renamed Hanbi Villa after Liu Shu purchased it during the Qing Dynasty in 1794. As a calligrapher, Liu carved masterpieces on both sides of the buildings’ corridors, and also collected stones of unusual shapes in the garden. New owners acquired it in 1873, renamed it Lingering Garden and continued the previous owner’s restoration work. Though almost demolished in the 1930s, government sponsorship eventually facilitated repairs and it opened to the public in 1954. Since then, it has remained a popular tourist destination and was designated a UNESCO World Heritage Site in 1997. 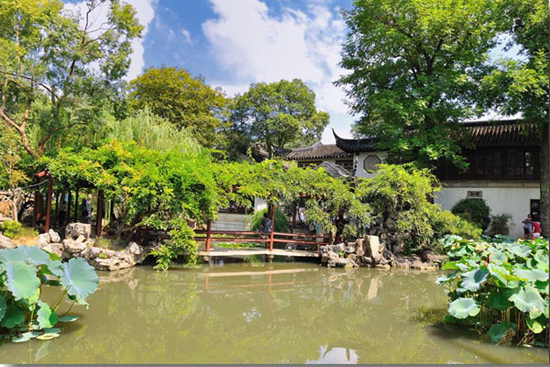 As one of the classical gardens in Suzhou, Lingering Garden was created in typical Qing Dynasty style, inspired by royal hunting gardens and featuring stunning natural landscapes within limited space. The domiciles, ancestral temples and private gardens blend seamlessly with their surroundings, built under the influence of a poetic freehand style that originated with traditional Chinese landscape paintings. Elegance, craftsmanship and rich cultural implications merge to lend insight into the aesthetics of ancient Chinese intellectuals. The garden is now divided into distinctly themed central, eastern, western and northern parts, all connected by a long, covered corridor bedecked with calligraphy carved into the walls of stone. The ancestral temple and house lie south of the garden. 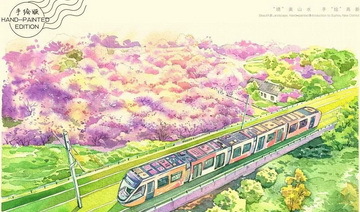 Of the four parts, the central area — which made up the original Lingering Garden — is the heart and soul of the whole complex, while the three others were added later. The central section features a man-made mountain and lake scenery. 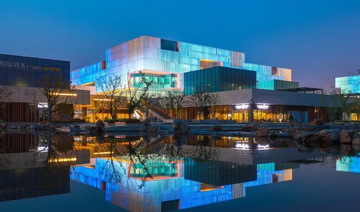 The eastern part is noted for groupings of elegant buildings and gardens, including the Celestial Hall of Five Peaks. 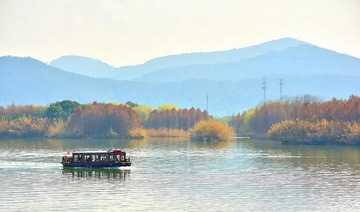 The western part is characterized by enchanting, woody hills covered with maple trees that turn bright red in autumn. The northern part, a former vegetable garden, now boasts exhibits of potted plants and bonsai, idyllic scenes and cottages with bamboo fences.